The Law Office of James M. Hoffman has successfully collected over $50,000,000.00 for workers compensation and personal injury clients throughout Missouri. In 2015 we collected $4 million in compensation through trial and settlement for injured Missouri workers. This does not include millions more in voluntary payments, such as medical and wage loss, by the work comp insurers. Lawsuit against a trucking company which denied the claim alleging that the driver who caused the accident was an independent contractor. A St. Louis County medical malpractice lawsuit for denied claim of a stillborn child. Street Department employee for the city of Hazelwood in St. Louis, Missouri. The employee suffered an on the job injury to his left shin (an abrasion and deep bruise) when a leaf vacuum, heavy with ice, broke and struck his left shin. Staph infection developed requiring multiple surgeries to remove and debride dead and scarred tissue. His lower leg then developed cellulitis and would swell with activity. Infection and debridement surgeries eventually caused left foot drop due to a damaged nerve. The left knee and thigh developed atrophy and weakness from non use. The employee’s left knee cap became unstable and shifted due to atrophy. Both left foot drop and knee require braces. Employer/insurer eventually terminated care, wage loss (ttd), refused additional medical treatment, and instructed employee to return to work, which aggravated his symptoms. Law Office of James M. Hoffmann retained and deposed medical and vocational experts. On cross examination of the insurance company expert physician, an orthopedic surgeon, James Hoffmann revealed that the opposing counsel mislead his own expert by only providing 20 pages of the employee’s 1,000 plus pages of medical records. The case went to trial. Employer/insurer offered nothing to settle. James Hoffmann obtained a favorable trial award of permanent and total disability checks for life, due wage loss and future medical care for life for employee’s knee and foot. Total benefits for wage loss, past medical, and future permanent total wage loss will exceed $750,000. An employee of a Missouri dairy company tripped while unloading cartons of milk and suffered injuries to his lower back and shoulder. The employee underwent shoulder surgery to repair a torn rotator cuff. The employee also suffered lumbar herniated discs at l4-5 and l5-s1. After undergoing a low back 2 level lumbar fusion surgery, a post operative infection of staff and osteomyelitis complicated his recovery by causing scar tissue and nerve damage. Our law office retained and deposed medical and vocational experts. Employer/insurer paid a settlement of $500,000, in addition to paying out over $600,000 in medical and wage loss benefits under the Missouri workers compensation law. $450,000.00 Plus Future Medical for Life for a Boeing maintenance worker who suffered a cervical herniated disc requiring a cervical fusion surgery. $430,000.00 Plus Future Medical for Life for a car salesman. Lumbar fusion for a herniated disc. Our client that was a construction worker injured in a car accident while working for Employer. Cervical disc herniation was accepted. Employer paid for disc replacement surgery. Client returned to work but continued to suffer low back problems. Lumbar MRI revealed L4-5 and L5-S1 disc bulges with spondylolisthesis at L5-S1. Employer denied the low back injury as Employee had prior lumbar disc herniation for which surgery was recommended but never performed. The $409,000.00 includes a trial Award for the Second Injury Fund, under-insured motorist coverage, policy limits liability coverage, and settlement with workers’ compensation carrier. Subrogation claim by the workers’ compensation carrier was substantially reduced. A 49 year old St. Louis roofing worker who fell from scaffolding and fractured his right foot, left ankle, and left knee. Surgical repair was required for all three fractures. The workers’ compensation insurance carrier offered $32,000.00 to resolve the injury claim and an additional $41,000.00 in future medical care. This offer was rejected. The Law Office of James M. Hoffmann obtained certified copies of all records and multiple reports from various experts regarding the extent of the employee’s injury and disability, plus future needs. Numerous experts were deposed regarding employee’s injury, permanency, and need to for future medical care. On the day of the trial setting, the workers’ compensation insurance carrier, AIG, agreed to pay employee over $350,000.00 and provide future medical care for life, including surgery if necessary, for employee’s knee, ankle, and foot fractures. $325,000.00 to settle trial award for perm total, in addition to future medical for life, for forestry department worker who injured leg nerve and developed staph infection. $250,000.00 Car Accident policy limits settlement for a rear-end collision. Client suffered loss of consciousness and back pain. $250,000.00 underinsured coverage claim pending. $249,000.00 Plus Future Medical for Life for a warehouse worker who suffered a lumber herniated disc that required a lumbar fusion surgery. Our client was an employee who was a driver for a trucking company in Springfield, Missouri. He was 50 years old when he slipped and fell off the side of his truck due to icy conditions. The employee suffered a disc injury to his lower back. However, prior to this injury, he had undergone multiple non-work related injuries and surgeries to his neck and lower back. Through the Law Office of James M. Hoffmann, the truck driver obtained an additional surgery on his lower back through the workers compensation carrier and social security disability benefits. Despite allegations by the employer and the workers’ compensation carrier that the employee’s inability to work was due to a combination of his on the job injury plus substantial pre-existing conditions of multiple neck and back surgeries, the workers’ compensation carrier paid over $230,000.00 to settle the claim. The City of St. Louis treated the an officer for a neck sprain and refused additional care. The St. Louis Police Officer was treated on her own and diagnosed with a cervical disc herniation. Trial judge agreed that the police officer suffered a herniated disc herniation as a result of the car accident while pursuing a suspect. The employer’s request for a penalty for not wearing a seatbelt was denied as the physicians testified that it is speculation as to what injury to the police officer would have suffered whether with, or without, a seatbelt. Further, the court explained that the injury wasn’t caused by a lack of seatbelt, it was caused by the negligent driver of the other car who failed to yield. Truck driver employed by a St. Louis trucking company suffered a concussion, back injury, and hernia while unloading a truck. The employee had pre-existing conditions of a prior lumbar back surgery for two lumbar herniated discs and also prior surgery to remove part of the pelvis due to a tumor on the pelvis. Law Office of James M. Hoffmann filed a Missouri workers compensation claim for the employee who eventually underwent surgery for the hernia. A post operative staff infection complicated employee’s recovery from the hernia surgery causing scar tissue and nerve damage, thus requiring pain management care. Our law office retained and deposed medical and vocational experts who provided opinions that the employee was permanently and totally disabled due to the combination of the primary injuries and pre-existing conditions. Employer/insurer settled for $180,000. Employee’s claim against the second injury fund, SIF, will be decided at trial. $180,000 Personal Injury settlement- for a meniscus tear in a knee caused by a defective elevator brake system. $150,000.00 Plus Future Medical for Life, for a truck driver who underwent surgery to repair a knee cap fracture. A Warehouse worker suffered repetitive use injury to his neck from years of hard work. The worker’s compensation carrier initially denied the claim. After filing a hardship and retaining expert witnesses, the employer/insurer agreed to provide medical care. A two cervical fusion was performed. The employer/insurer paid in excess of $100,000 for medical bills and wage loss. Employee returned to work. After deposing experts and preparing for trial, the case settled for permanent partial disability. $75,000.00 for a veterinarian with a herniated cervical disc. A 62 year old client who suffered injuries to his back and neck due to car accident in Springfield, MO. For more than 10 years prior to the accident, the client had received pain management treatment and injections for osteoarthritis, joint stiffness, back pain, nerve root compression, central disc protrusion, nerve root impingement, and a L5-S1 disc protrusion. Treatment, prior to the accident, included Hydrocodone, injections, epidural steroid injections, and several neurotomy procedures. The car accident in 2010 aggravated his prior neck, back, and disc issues. His settlement was for $69,000.00. The Law office of James Hoffmann obtained and provided all medical records, plus a detailed summary of the client’s pain management prior to the accident. They wrote a detailed letter explaining how the client’s back and neck issues were aggravated by the accident. We focused on the fact that the client had remained active prior to the incident and was able to tolerate his back and neck issues. Our case theme was that client’s back and neck were not beyond further injury and that Missouri law only requires than an accident contribute to cause pain and the necessity of medical care. Our client was injured in a St. Louis car accident. The liability insurance carrier disputed the extent of the injury to client’s lower back and neck. Prior to filing suit, the insurance carrier denied client’s case. After the Law Office of James M. Hoffmann filed suit, took depositions, and deposed experts, the liability carrier settled for $65,000.00. $56,000.00 for a field technician carrying heavy equipment and suffered a rotator cuff tear. $55,000.00 for a secretary who fell and herniated a lumbar disc requiring a microdiscectomy. $53,000.00 for union plumber who underwent torn rotator cuff surgery. A 40 year old driver from a trucking company in the Springfield and Joplin area of Missouri. The client fell off the trailer of the 18 wheeler and suffered a right knee meniscus injury and cartilage damage. The damaged meniscus area is usually removed and cannot be repaired due to lack of blood supply. Damaged cartilage pieces are removed and the damage cartilage surface is smoothed out, a chondroplasty. This damage leads to further degeneration in the knee and probable additional surgery. The employee underwent surgery for a lateral meniscus tear and chondromalacia of the right knee. The St. Louis Workers Compensation Attorneys at the Law Office of James M. Hoffmann obtained certified copies of all medical records and sent employee for an independent medical examination. After the experts were deposed, and immediately prior to trial, employee’s knee injury claim settled for $45,000.00. A 50 year old correctional officer in St. Louis who struck her knee on a locker room bench at work causing knee pain. The injury was reported immediately. 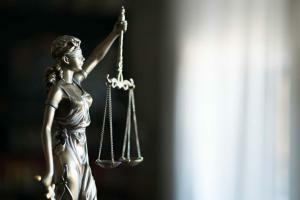 The workers’ compensation insurance carrier provided conservative treatment, physical therapy at Concentra and then denied further treatment even though the employee continued to suffer knee pain and requested additional care. Then using her own health insurance, she went with an orthopedic surgeon in St. Louis, MO who performed a right knee arthroscopic surgery for a meniscus tear and a chondroplasty of the patella and medial femoral condyle. The Law Office of James M. Hoffmann obtained a disability rating for her and prepared for trial. Immediately prior to trial and after the experts were deposed, the employer/insurer agreed to pay $44,587.00 for the on the work related knee injury. It is critical to demand, in writing, additional medical care. Make sure you keep a copy of the letter you hand to your employer asking for additional medical care. If the workers compensation court agrees that the employer/insurer refused necessary medical care, an injured Missouri employee can recover the entire costs of treatment. We took the deposition of our expert who testified as to the reasonableness and necessity of the treatment and bills, in addition to the permanency suffered by our client due to the injury. $41,000.00 for a factory worker with a herniated cervical disc. $21,000.00 for a county police officer with a fractured rib injury. $20,000.00 Workers Compensation for uninsured motorist policy limits and $20,000.00 workers compensation settlement for lumbar transverse process fractures. Machinist in Fenton, MO slipped and fell at work suffering a medial ankle deformity. X-ray of right ankle showed bimalleolar fracture-dislocation present at the ankle. Surgery was performed for a right ankle trimalleolar fracture dislocation. Eventually a pain management physician diagnosed complex regional pain syndrome. His symptoms included causalgia with significant vascular changes, hyperhidrosis, atrophy, mild edema, severe dysesthesia, allodynia and hypoesthesia. Right L5 sympathetic nerve block and P-stim device application were provided to treat the RSD. To counter the treating doctors rating of 10% disability of the foot, the Law office Of James M. Hoffmann obtained an expert report showing 75% of the right lower extremity at the calf (155 week level) due to the trimalleolar fracture/dislocation that required open reduction internal fixation and development of CRPS that required pain management. He has been unable to get back to work since June, 2012. He needs a vocational rehab evaluation and ongoing pain management. He also has hardware in the ankle that could become infected, loosen, fail or become very painful. The Law Office of James M. Hoffmann then obtained a vocational expert who opined that the claimant was not able to secure and maintain employment in the open labor market due to his injury. Our client was an employee of a temp agency was working in a St. Louis warehouse lifting 100 pound bags for 12 hour shifts. He felt pain in his low back while lifting which developed into severe low back pain in addition to loss of bladder control, pain down both legs, and difficulty walking. 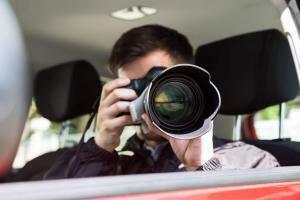 The workers compensation insurance company denied surgery based upon a video surveillance of client outside of work. On a lien basis, we obtained a myelogram of his low back, which showed stenosis in the lumbar spine, most severe at L3/4 and L4/5. Also in a lien basis we obtained a MRI of the low back, showing annular tears and herniations centrally at the L2/3 level and left neuroforamen at the L3/4 level, centrally at the L4/5 level and in left paracentral location at the L5/S1 level in addition to annular disc bulges at L4/5 and L5/S1. The Law Office of James M. Hoffmann filed a workers comp hardship and obtained a report from an orthopedic spine surgeon relating the injury to work. Just prior to the hardship trial, the workers compensation adjustor accepted the case. Client is now receiving all benefits due under Missouri workers comp including wage loss (TTD), a low back fusion, long term nursing care, and other necessary care medical for his back injury. Boeing worker injured low back from years of maintenance work. Workers compensation insurance carrier paid for wage loss and lumbar disc replacement procedure for a herniated disc. Records revealed hand numbness so claim for carpal tunnel was filed as well. The case was settled and the employee returned to work. Permanent partial disability claim went to trial against the Second Injury Fund, or SIF. Client received a trial award. Policy limits settlement for wrongful death of a family member who died in a car accident. Insurance carrier initially alleged coverage reduction to a lesser amount due to the accident involving one vehicle only and family members. Policy limits settlement for family member involved in car accident. Client suffered multiple fractures requiring extensive hospitalization and surgery. Client did not have health insurance and had large medical bills. Using Missouri Lien Law Statutes, client’s medical bills were substantially reduced and satisfied in full by distributing, pro-rata, amongst the healthcare providers. Policy limits coverage for client injured in car accident. Client suffered a left femur fracture, left hand fracture, fractured ribs, and a broken jaw. Police Officer Injured Knee While Detaining Suspect: Suffered a large medial meniscus tear requiring surgery. Officer also had an ACL issue from the injury. Because of post-surgery knee instability which caused a significant amount of ongoing pain, employee was referred for an ACL reconstruction and a medial meniscus transplant procedure. The employer/insurer denied this by obtaining a report from an orthopedic surgeon who did not even perform the meniscus transplant procedure. Our client was upset that at the exam the work comp doctor told her that the surgery was caused by her work injury but then writes a report that it is not related. The Law Office of James M. Hoffmann filed a hardship and took the deposition of a nurse case manager who was present at the exam. According to her notes, the orthopedist reviewed all of client’s medical records, answered all questions from the nurse case manager regarding a causal connection, and then noted that the doctor saw problems caused by the injury and that he would assist in the referral to a physician who would perform the surgeries. The NCM notes of her conversation with the doctor state that doctor said that the meniscus transplant surgery and ACL reconstruction were both work related. At that point, the employer conceded and provided the ACL reconstruction and the meniscus transplant under work comp, plus reinstated TTD. Plumbing Inspector Tripped and Fell on Right Knee at Work: City building division plumbing inspector tripped and fell on his right knee at work. He had prior surgeries on both knees and multiple prior shoulder surgeries. The workers compensation doctor performed a right knee arthroscopy and partial medial meniscectomy. He released employer who continued to suffer knee pain and rated employee at 4% disability. Employee then treated on his own receiving bilateral knee replacements. He can no longer work. The Law office of James M. Hoffmann is investigating the following issues: whether the right knee replacement flows from the work injury; whether the left knee was made worse or painful from overuse while recovering from the right knee surgery and, if so, did the left knee total replacement flow from the right knee problems; whether client is permanently and totally disabled due to his bilateral knee conditions or whether it is due to his knees in combination with his prior shoulder surgeries and prior low back pain. Permanent Partial Disability: Construction worker fell from scaffolding and fractured low back vertebrae, pelvis, and ankles. Surgery was required for one ankle. Worker returned to work full duty with no restricitions. Prior to trial, the workers compensation insurance carrier offered no settlement. Employee was sent to experts for opinions and experts were deposed for trial. Week before trial case settled for Permanent Partial Disability, or permanent partial disability. Off Duty Railroad Worker Injured in Truck Accident: A railroad worker was off duty at the intersection of A and highway 47 in Missouri. A truck ran a stop sign and took out the front and drivers side of client’s SUV. As the client did not have health insurance, surgery was performed on a lien basis for the client’s neck injury. The neck surgery included a microdissection, an anterior cervical discectomy with decompression of spinal cords, a subtotal corpefctomy at C3 and C4 with decompression of spinal cord, an anterior cervical discectomy with decompression of the spinal cord and subtotal corpectomy at C4/5, and an interbody fusion at C3/4 and C4/5 with placement of an interbody cage at C3/4, C4/5 and placement of locking plate at C3, C4. Dog Bite Case Involving 12 Year Old Girl: A 12 year old girl was walking her dog when another dog broke loose and attacked. The young girl was bitten several times while holding her dog in the air to protect it from the attack. Her dog was torn from her hands by the attacking dog and killed. The young girl suffered several puncture wounds from the attack. After a low offer from the homeowner’s insurance carrier for the dog owner, the Law Office of James M. Hoffmann has filed suit to obtain fair and reasonable compensation for the attack. We have obtained a report from a plastic surgeon concerning her injuries and costs of scar revision surgery. Compensation for School Maintenance Worker Who Fell: Permanent total disability – trial award against Second Injury Fund for school maintenance worker who fell and injured left knee causing a left knee torn medial meniscus and irreversible aggravation of previously asymptomatic underlying arthritis. Pre-existing conditions included prior low back lumbar laminectomy & discectomy L4/5and subsequent fusion from L1-L5. Compensation for Knee Injury: Our client was loading freight into a tractor trailer when his knee buckled. The Law Office of James M. Hoffmann filed a workers compensation claim and obtained benefits including Temporary Total Disability and a left knee partial medial meniscectomy. Compensation for Elbow Fracture: Client fell out of tractor trailer and suffered an elbow fracture. He has undergone 4 surgeries including an open reduction internal fixation of displaced olecranon fracture; a neurolysis left ulnar nerve at the elbow; a surgery to remove deep buried hardware left elbow (fixation screw and tension band); and a left elbow flexion contracture release; excision of heterotopic ossification left elbow; left elbow synovectomy; left triceps tenolysis and myolisys; left small finger MP joint palmar capsulodesis to correct hyper extension of deformity; left small finger flexor tenolysis in the palm and digit. Our law office has obtained favorable reports from the treating physician for future medical care for life. In addition, expert reports were obtained showing that the client was permanently and totally disabled from the open labor market. Compensation for a Work Related Foot Fracture: A St. Louis, MO maintenance worker fracture his foot at work. The emergency room diagnosed a right foot comminuted, acute mid-foot fracture-dislocation of the right second and third metatarsal bases with disruption of the Lisfranc joint and lateral displacement of the second through fourth right metatarsal bases; small avulsion injury from the right distal fibular tip, consistent with lateral ligamentous sprain; moderate ankle joint effusion noted. Surgery was performed in the form of an open reduction internal fixation right 2nd metatarsal and TMT joint, 3rd metatarsal base fracture and TMT joint and 4th TIMT joint. A second surgery was performed to remove deep hardware in the right 2nd and 3rd TMT joints and superficial hardware removal of right 4th TMT joint. Law Office of James Hoffmann countered the treating doctors rating of 10% of the foot with a rating of 40% of the right foot due to fractures of the first through fourth metatarsals and dislocations of the second, third, and fourth metatarsals that required open reduction internal fixation and subsequent hardware removal, ongoing discomfort, swelling, rotational loss; 5% of the right hip due to increase in hip pain form abnormal weight bearing. For a Second Injury Fund claim, the doctor found pre-existing 25% of the left knee due to a prior left knee surgery in 2002. Medical Malpractice for a stillborn medical malpractice case. Wrongful Death in Car Accident case resulting in policy limits settlement for wrongful death of a family member who died in a car accident. Insurance carrier initially alleged coverage reduction due to the accident involving one vehicle only and family members. Wrongful death policy limits for wrongful death claim. Workers Compensation: Machinist felt shoulder pain while using pipe wrench to tighten bolts above shoulder level. Treatment obtained included rotator cuff surgery and therapy. Workers compensation insurer paid all medical bills and wage loss, or TTD. Workers Compensation trial award for a St. Louis apartment maintenance worker who had felt back pain in March 2007 while rehabbing apartments for his employer. The employee later experienced a sharp pain in his lower back and numbness down his right leg while moving appliances in June 2007. The employee reported the back pain and a claim was filed for the March repetitive use injury and a separate claim was filed for the June acute injury, as the employer had changed workers comp insurance between the 2 injury dates. An MRI was obtained and showed a herniated disc at L5-S1. A micro-discectomey surgery was recommended by the authorized treating neurosurgeon, however, the insurance carrier for the June injury refused to authorize the surgery. The employee was sent for an independent medical exam where the doctor opined that the herniated disc was not caused by the June Injury. As a result, the insurance carrier cut off treatment. The employee retained the Law Office of James M. Hoffmann and the case was taken to trial, where the Judge ruled in favor of the employee and has order the insurance company for the June 2007 injury to provide medical care, surgery, and wage loss benefits for the employee. Workers Compensation trial award against the Second Injury Fund for permanent partial disability. Pre-existing permanent partial disabilities included a low back injury, psychiatric stress, a left wrist fusion, left knee surgery and low back surgery. Employee is still working. Second Injury Fund paid trial award in full. Workers Compensation trial award against Employer/Insurer and Second Injury Fund for permanent partial disability due to a denied knee injury. Employee suffered a medial meniscus tear requiring surgery. Employee was awarded medical bills, past TTD, and permanent partial disability against the employer. Employee’s claim against the Second Injury Fund was tried as well. Workers Compensation Settlement: Security officer was participating in self defense class. Part of the training included hands on techniques during which other officers wrestled client to the ground. Later that day client felt low back pain. Employer/denied the case alleging that officer failed to report an injury. Initial emergency records stated that cause low back pain was unknown. Officer suffered a herniated disc in his low back. Causation was disputed by the workers compensation insurer. Workers Compensation Settlement: A city worker who performed hard labor such as cleaning out water basins with a fire hose, clearing weeds and brush, and concrete work was diagnosed with a herniated disc in his neck and degenerative disc disease or DDD. The workers compensation insurance carrier denied the case alleging that the worker’s neck condition was age related and not due to hard work performed over the years. After we deposed our expert witnesses and immediately before trial, the city settled, agreeing to be responsible for all medical bills (a hold harmless agreement), and agreeing to provided pain management and other future medical care, for life, to cure and relive the effects of the neck injury. Workers compensation settlement for an Employee that suffered a medial meniscus tear while working for Employer. Settlement was for 30% permanent partial disability to knee. Workers Compensation settlement for a roofer who suffered C5-6 disc herniation while carrying 50lbs of slate. A cervical fusion was performed for same. Employee has returned to work. Workers compensation settlement for a repetitive use injury to a bus driver’s elbow. Client was a Bi-State bus driver with elbow pain. Initially, client was diagnosed with epicondilitis. Surgery was required to remove bone spurs from client’s elbow. Employer/Insurer denied the case. Experts were retained and deposed to establish causation and permanency. Case settled immediately prior to trial. Workers Compensation settlement for a permanent partial disability to a carpenter who alleged a knee injury. Claim was initially denied. Experts were retained and deposed to establish causation and permanency. Through hardship, Employer/Insurer accepted claim. Additional hardship hearings resulted in two additional surgeries for Employee’s meniscus tear. Hardship hearing also resulted in additional treatment for pain management. Workers Compensation settlement for a Missouri concrete worker who suffered an on the job knee injury after slipping off a porch. Workers compensation settlement for a maintenance worker who suffered an injury to the low back due to maintenance and construction work. Eventually, a disc replacement surgery was authorized. The L5 disc was replaced with an artificial device. Client returned to work. Workers Compensation settlement for a denied rotator cuff injury claim. Employee worked in a warehouse. Employer/Insurer alleged a pre-existing degenerative condition. Experts were retained and deposed to establish causation and permanency. Mall Worker Fell at Work Suffering an Ankle Injury: Injections were provided under workers compensation for significant swelling. Multiple surgeries were performed including a bursa excision and peroneal tenosynovectomy; excision of the right retrocalcaneal bursa; and right peroneal tenosynovectomy. Client was eventually diagnosed with a right sural nerve injury and CRPS, or RSD of the right foot. A rating physician and a vocational expert have both opined that client is permanently and totally disabled due to her injury. Workers Compensation settlement for a denied repetitive use shoulder claim against an Employer. Insurance carrier denied the case alleging pre-existing shoulder complaints. Experts were retained and deposed to establish causation and permanency. Prior to trial, the case settled. .
Workers Compensation Settlement – workers compensation settlement where employee was initially denied because of alleged horseplay. Workers Compensation Settlement – workers compensation settlement for nasal fracture requiring surgery. Workers Compensation and Car Accident settlement for fractured ankle. Workers Compensation and Car Accident settlement combined workers compensation and car accident settlement for fractured pelvis and lumbar transverse process fractures. Workers Compensation and Car Accident – combined workers compensation and car accident settlement for fractured pelvis and lumbar transverse process fractures. Workers Compensation -workers compensation settlement for a denied elbow neuropathy from lifting animals. Workers Compensation -for workers compensation back injury and an additional settlement from Second Injury Fund. Workers Compensation – workers compensation settlement plus medical bills paid in full for carpal tunnel. Workers Compensation – workers compensation settlement plus future medical for hand injury at work, claim was initially denied as employer alleged the employee was doing personal business. Workers Compensation – workers compensation settlement from employer and second injury fund for denied claim for repetitive use injury to low back. Workers Compensation – workers compensation settlement from employer and second injury fund for a fall resulting in a concussion and injured knee. Workers Compensation – workers compensation settlement for shoulder surgery. Workers Compensation – workers compensation settlement for shoulder injury. Workers Compensation – workers compensation settlement for shoulder injury from lifting patients. Workers Compensation – workers compensation settlement for permanent partial disability to low back from disc herniation. Workers Compensation – workers compensation settlement for neck and low back sprains. Workers Compensation – workers compensation settlement for lower back surgery. Workers Compensation – workers compensation settlement for low back surgery and $15,000.00 settlement from Second Injury Fund. Workers Compensation – workers compensation settlement for low back sprain from falling at work. Workers Compensation – workers compensation settlement for hand fracture and concussion. Workers Compensation – workers compensation settlement for fall at work causing wrist fracture and carpal tunnel. Workers Compensation – workers compensation settlement for disputed repetitive use injury to low back causing I5-s1 disc herniation. Workers Compensation – workers compensation settlement for disputed lumbar disc injury and an additional amount from Second Injury Fund. Workers Compensation – workers compensation settlement for disc protrusion, lower back injuries and aggravation of degenerative disc disease. 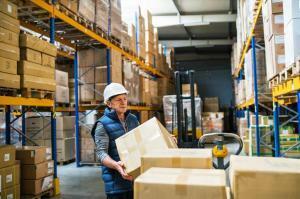 Workers Compensation – workers compensation settlement for denied repetitive use shoulder injury from working in warehouse. Workers Compensation – workers compensation settlement for denied lumbar disc injury due to repetitive lifting. Workers Compensation – workers compensation settlement for carpal tunnel. Workers Compensation – workers compensation settlement for bruises and sprains to lower back and knee from fall. Workers Compensation – workers compensation settlement for assault at work and aggravation of lumbar degenerative disc disease. Workers Compensation – workers compensation settlement for a denied stress and depression claim. Workers Compensation – workers compensation settlement for a denied shoulder injury. Workers Compensation – workers compensation settlement for a denied repetitive use neck injury. Workers Compensation – workers compensation settlement for a denied repetitive use injury to low back. Workers Compensation – workers compensation settlement for a denied neck injury. Workers Compensation – workers compensation settlement for a denied hernia injury. Workers Compensation – workers compensation settlement and Second Injury Fund Settlement for repetitive injuries to shoulders. Workers Compensation – workers compensation settlement and second injury fund settlement for police officer shoulder injury requiring surgical repair. Workers Compensation – workers compensation settlement and second injury fund settlement for hand injury plus second injury fund claim for arthritic knees. Workers Compensation – workers compensation settlement against employer and Second Injury Fund for concussion and knee injury. Workers Compensation – workers compensation lumbar disc injury aggravation of degenerative disc disease. Workers Compensation – workers compensation and second injury fund settlement for shoulder and lumbar strains from falling out of a chair. Workers Compensation – workers compensation and motor vehicle accident settlement for fractured ankle. Workers Compensation – workers compensation and car accident settlement for lacerated shin. Workers Compensation – settlement from employer for partial disability to shoulder, plus an additional award against Second Injury Fund for past due benefits and weekly checks for remainder of employee’s life from the Second Injury Fund for a shoulder injury. Workers Compensation – settlement for workers compensation disputed cervical injury. Workers Compensation – for workers compensation settlement for denied cervical herniation. Workers Compensation – for workers compensation knee injury. Workers Compensation – for a workers compensation settlement regarding strains/sprains of low back, neck and shoulder from repetitive work duties. Workers Compensation – for a workers compensation settlement regarding a disputed low back injury. Workers Compensation – for a workers compensation disputed neck injury related to repetitive use lifting. Workers Compensation – for a lumbar fusion in a workers compensation case. Truck Accident Settlement: A young lady in southern Missouri was rear ended by and 18 wheeler. She suffered a severe case of whiplash, or strains and sprains of the muscles and ligaments in her neck. As no offered was made by the trucker’s insurance company, the law office of James M. Hoffmann obtained an initial settlement offer. After filing suit and during the discovery process, the case settled for an additional, larger amount. 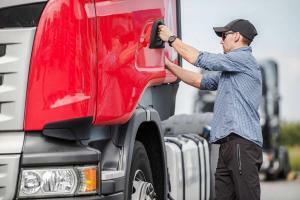 Truck Accident – for bruises in a motor vehicle accident with a semi truck. Truck Accident – for a wrongful death lawsuit against a trucking company which denied the claim alleging that the driver who caused the accident was an independent contractor. St. Louis Medical Malpractice – for a St. Louis County medical malpractice lawsuit for denied claim of a stillborn child. Personal Injury settlement- for a meniscus tear in a knee caused by a defective elevator brake system. Personal Injury settlement – policy limits for rib fractures; used MO lien law to pay client’s medical bills. Personal Injury Settlement – policy limits for knee fracture walking in parking lot and struck by car. Personal Injury Settlement – for a minor concussion. Personal Injury settlement – for a fractured kneecap from falling on ice. Personal Injury – slip and fall and aggravation of preexisting knee condition. Personal Injury – settlement for a car accident resulting in traumatic chondromalicia of knee. Personal Injury – policy limits for car accident resulting in broken ribs and punctured lung. Personal Injury – policy limits for a fractured nose and wrist in a motor vehicle accident. Personal Injury – policy limits for a broken nose and punctured lung. Personal Injury – for a lacerated knee cap suffered in a fall from a tram. Personal Injury – for a denied claim of aggravation of prior back surgery. Motorcycle Accident – from motorcycle accident causing shoulder impingement. Motor Vehicle Settlement for a lumbar fracture. Motor Vehicle Settlement – motor vehicle settlement for a lumbar fracture. Motor Vehicle Accident Settlement for uninsured motorist coverage settlement from a concussion in a motor vehicle accident. Motor Vehicle Accident settlement for humerus fracture, liability was initially denied. Motor Vehicle Accident settlement for a motor vehicle accident aggravation of degenerative disc disease lumbar for a fractured tooth of a minor. Motor Vehicle Accident Settlement for a car accident resulting in L4-5 injury. Motor Vehicle Accident policy limits in a motor vehicle accident resulting in aggravation of a lumbar degenerative disc disease and a punctured lung. Motor Vehicle Accident policy limits for foot fracture in motor vehicle accident. Motor Vehicle Accident during litigation, the initial offer was much lower than actual settlement, for fractured arm and leg, applied MO lien laws to reduce and pay all medical bills as client did not have health insurance. Motor Vehicle Accident – uninsured motorist coverage settlement from a concussion in a motor vehicle accident. Motor Vehicle Accident – policy limits in a motor vehicle accident resulting in aggravation of a lumbar degenerative disc disease and a punctured lung. Motor Vehicle Accident – policy limits for foot fracture in motor vehicle accident. Motor Vehicle Accident – motor vehicle settlement for humerus fracture, liability was initially denied. Motor Vehicle Accident – motor vehicle accident during litigation, initial offer of $25,000.00, suffered fractured arm and leg, applied MO lien laws to reduce and pay all medical bills as client did not have health insurance. Motor Vehicle Accident – for a motor vehicle accident aggravation of degenerative disc disease lumbar for a fractured tooth of a minor. Medical Negligence – settlement during litigation for retained sponge following surgery. Medical malpractice lawsuit against a doctor and hospital for the loss of a child at birth. Medical Malpractice – for a minor who suffered a leg injury in a motor vehicle accident. Injury Accident – settlement for laceration to finger and negligent supervision claim during shop class. Injury Accident – settlement for a fractured sternum. Injury Accident – policy limits for a motor vehicle accident causing cartilage tear in the wrist. Injury Accident – motor vehicle accident resulting in aggravation of lumbar degenerative disc disease. Fractured Kneecap at Work: Store worker suffered fractured kneecap at work. Surgery was required to wire kneecap pieces together. Before trial, case settled for future medical costs and an additional amount. Dog Bite Settlement – dog bite settlement. Car-Pedestrian Injury policy limits for knee fracture walking in parking lot and struck by car. Car Injury Accident policy limits for a motor vehicle accident causing cartilage tear in the wrist. Car Injury Accident motor vehicle accident resulting in aggravation of lumbar degenerative disc disease. Car Accident with Pedestrian settlement for multiple abrasions and contusions. Client was intoxicated while walking along a sidewalk. Client attempted to cross the street and was struck by a vehicle. Car Accident Settlement: Driver swerved to miss a car and struck a pole. Treatment at emergency room included a CT scan which revealed a small bulge in his neck. As the other driver left the accident scene, an uninsured motorist claim was filed against the driver’s insurance policy. Car Accident settlement shoulder and knee injury from a car accident. Car Accident Settlement right elbow scar from a car crash. Car Accident Settlement Policy limits settlement for a L5-S1 fusion surgery caused by a rear-end automobile collision. Client did not have health insurance or any means to pay for the medical bills. Physicians performed medical treatment on a lien basis. Client’s medical bills were paid in full, pursuant to the Missouri Lien Laws, using only a small portion of the client’s proceeds. Car Accident settlement policy limit from an under-insured motorist coverage, plus an additional policy limit from a liability carrier for a cervical fracture in a car accident. Car Accident settlement policy limit from an under-insured motorist coverage and an additional policy limit from a liability carrier for a cervical fracture in a car accident. Car Accident Settlement for neck strains and concussion from an automobile accident. Car Accident Settlement for neck and back pain from MVA. One car accident. Client was a passenger. Deer ran in front of car. Insurance carrier initially denied claim but eventually accepted liability based upon allegation of negligence was that driver was operating vehicle too fast for conditions. Client had pain management care for a disc protrusion. Treatment included epidural steroid injections and MRI. No surgery. Insurance company eventually paid the policy limits. Car Accident settlement for knee and neck pain from a car accident. Car Accident settlement for disputed aggravation of cervical degenerative disc disease in a car accident. Car Accident settlement for cervical fusion from a car accident. Car Accident settlement for aggravation of cervical degenerative disc disease in a car accident. Car Accident Settlement for aggravation of cervical degenerative disc disease and ulnar nerve pain from a car accident. Car Accident Settlement for aggravation of a lumbar degenerative disc disease in a car accident. Car Accident settlement for aggravation of a lumbar and cervical degenerative disc disease in a car accident. Car Accident Settlement for aggravated degenerative disc disease lumbar. Car Accident settlement for a left shoulder puncture wound from a car accident. Car Accident Settlement for a client who suffered neck and back injuries from an accident even though they had had prior back injuries. Car Accident settlement for a cervical and lumbar strain from multiple car collisions. Epidural steroid injections were performed. Car Accident Settlement for a car accident resulting in whiplash. Car Accident settlement for a car accident resulting in aggravation of cervical and lumbar degenerative disc disease. Car Accident settlement for a car accident resulting in a cervical fusion. Car Accident Settlement due to injuries from head laceration and elbow in a car accident. Car Accident settlement – policy limits and an additional amount from underinsured motorist coverage from neck and low back injury in a car accident. Car Accident resulting in multiple contusions and concussions. Car Accident policy limits settlement for a St. Louis car accident resulting in L5-S1 disc herniation. Surgery was recommended but never performed. Client received epidural steroidinjections and chiropractic care. Car Accident policy limits settlement for a L5-S1 fusion surgery caused by a rear-end automobile collision. Client did not have health insurance or any means to pay for the medical bills. Physicians performed medical treatment on a lien basis. Client’s medical bills of $117,000.00 were paid in full, pursuant to the Missouri Lien Laws, using only $31,800.00 of client’s proceeds. Car Accident policy limits of uninsured motorist coverage for a wrist fracture in a car accident. Car Accident policy limits from a concussion in a car accident. Car Accident policy limits for uninsured motorist coverage from car accident resulting in head and foot injury. Car Accident policy limits for uninsured motorist coverage for a cervical disc bulge in a car accident. Car Accident policy limits for rotator cuff injury from a motor vehicle accident. Car Accident policy limits for facial lacerations in a car accident. Car Accident policy limits for car accident resulting in aggravation of neck and low back degenerative disc disease. Car Accident policy limits for a ruptured spleen in a motor vehicle accident. Car Accident policy limits for a neck injury in a car accident. Car Accident policy limits for a nasal fracture in an automobile accident. Car Accident policy limits for a head laceration from the uninsured motorist coverage. Car Accident policy limits for a hand laceration from a car accident. Car Accident policy limits for a fractured clavicle in a car accident. Car Accident policy limits and an additional settlement from underinsured motorist coverage from neck and low back injury in a car accident. Car Accident lawsuit, policy limits for a right femur and right wrist fracture in a car accident. Car Accident lawsuit for under-insured policy limit plus an additional policy limit for fractured hip in a car crash. Car Accident lawsuit for an individual who fractured her femur in a car accident. Car Accident lawsuit aggravation of lumbar degenerative disc disease in a car accident. Car Accident for hernia suffered by infant in a car wreck. Car Accident – under-insured policy limit plus an additional policy limit for fractured hip in a car crash. Car Accident – shoulder impingement from a car accident. Car Accident – shoulder and knee injury from a car accident. Car Accident – settlement for knee and neck pain from a car accident. Car Accident – settlement for disputed aggravation of cervical degenerative disc disease in a car accident. Car Accident – settlement for aggravation of cervical degenerative disc disease in a car accident. Car Accident – settlement for a left shoulder puncture wound from a car accident. Car Accident – settlement for a car accident resulting in aggravation of cervical and lumbar degenerative disc disease. Car Accident – right elbow scar from a car crash. Car Accident – policy limits of uninsured motorist coverage for a wrist fracture in a car accident. Car Accident – policy limits from a concussion in a car accident. Car Accident – policy limits for uninsured motorist coverage from car accident resulting in head and foot injury. Car Accident – policy limits for uninsured motorist coverage for a cervical disc bulge in a car accident. Car Accident – policy limits for shoulder arthroscopy for impingement in a car accident. Car Accident – policy limits for rotator cuff injury from a motor vehicle accident. Car Accident – policy limits for facial lacerations in a car accident. Car Accident – policy limits for car accident resulting in aggravation of neck and low back degenerative disc disease. Car Accident – policy limits for a ruptured spleen in a motor vehicle accident. Car Accident – policy limits for a right femur and right wrist fracture in a car accident. Car Accident – policy limits for a neck injury in a car accident. Car Accident – policy limits for a head laceration from the uninsured motorist coverage. Car Accident – policy limits for a hand laceration from a car accident. Car Accident – neck strains and concussion from an automobile accident. Car Accident – injuries from head laceration and elbow in a car accident. Car Accident – for hernia suffered by infant in a car wreck. Car Accident – for concussion in car accident. Car Accident – for cervical fusion from a car accident. Car Accident – for an individual who fractured her femur in a car accident. Car Accident – for aggravation of a lumbar degenerative disc disease in a car accident. Car Accident – for aggravation of a lumbar and cervical degenerative disc disease in a car accident. Car Accident – for aggravated degenerative disc disease lumbar. Car Accident – for a car accident resulting in a cervical fusion. Car Accident – car accident resulting in whiplash. Car Accident – car accident resulting in multiple contusions and concussions. Car Accident – car accident resulting in L4-5 injury. Car Accident – aggravation of lumbar degenerative disc disease in a car accident. Car Accident – aggravation of cervical degenerative disc disease and ulnar nerve pain from a car accident. Car Accident – policy limits for a nasal fracture in an automobile accident. Bus Accident – settlement for aggravation of lumbar degenerative disc disease when school bus went off road. Auto Accident Settlement shoulder impingement from a car accident. Auto Accident Settlement for cheek and forearm scar in an auto accident. Auto Accident Settlement for cervical degenerative disc disease aggravation from automobile accident. Auto Accident Settlement for a concussion in car accident. Auto Accident policy limits settlement for a child struck by a vehicle who suffered head injuries. Auto Accident policy limits on a motor vehicle accident foot fracture. Auto Accident policy limits for shoulder arthroscopy for impingement in a car accident. Auto Accident policy limits for knee arthroscopy due to a motor vehicle accident. Auto Accident policy limits for car accident resulting in broken ribs and punctured lung. Auto Accident policy limits for a automobile accident causing a kneecap injury. Auto Accident lawsuit policy limits for a fractured nose and wrist in a motor vehicle accident. Auto Accident lawsuit for C6 non-displaced fractures in an auto accident. Auto Accident lawsuit against premises owner which denied injury claim of customer who was struck by a vehicle and diagnosed with fractured vertebrae and traumatic cyst. Auto Accident arbitration award for wrist fracture from auto accident. Auto Accident an combined workers compensation and uninsured motorist claim for leg injuries, employer initially denied claim stating employee was an independent contractor. Auto Accident – policy limits settlement for a child struck by a vehicle who suffered head injuries. Auto Accident – policy limits on a motor vehicle accident foot fracture. Auto Accident – policy limits for knee arthroscopy due to a motor vehicle accident. Auto Accident – policy limits for a fractured clavicle in a car accident. Auto Accident – policy limits for a automobile accident causing a kneecap injury. Auto Accident – lawsuit against premises owner which denied injury claim of customer who was struck by a vehicle and diagnosed with fractured vertebrae and traumatic cyst. Auto Accident – for cheek and forearm scar in an auto accident. Auto Accident – for C6 non-displaced fractures in an auto accident. Auto Accident – combined workers compensation and uninsured motorist claim for leg injuries, employer initially denied claim stating employee was an independent contractor. Auto Accident – cervical degenerative disc disease aggravation from automobile accident. Auto Accident – arbitration award for wrist fracture from auto accident.